What comes to my mind is the audio display booths that are setup at many local electronics stores in my area. These displays showcase the company’s extremely compact cube style satellite speakers along with a bass module. Many of Bose’s audio products tend to be very room decor friendly and will fit seamlessly into your living space environment while drawing very little attention to themselves. Before I get started with this product review, I’d like to briefly take a moment to give you my personal opinion on what I think about Bose products in general: The design and build quality of their products is very good, and their overall sound quality is respectable, and ranges from good to very good. However, with Bose, you are not only paying for a quality product, but also the “Bose” name brand, which places the pricing of their products at a premium and a lot more expensive than products from other well known manufacturers, that deliver audio systems which equal or better the performance of Bose systems for less money. 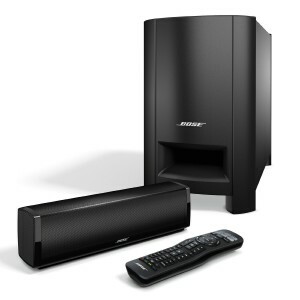 The Bose CineMate 130 is a compact home theater system and contains the company’s best CineMate soundbar. Its slim and sleek design has a width of about 37″and features a six-speaker array lay-out with two PhaseGuide sound radiators. The soundbar can be placed on an entertainment stand or wall mounted. The Acoustimas bass module is a wireless design with a range of up to 30ft, which will allow for multiple placement options within your room. The small control console provides connections for your audio/video components including 4 HDMI inputs for your BD-DVD, CBL-SAT, Game for gaming console and AUX for other A/V components. All HDMI jacks support up to 4K/30Hz Ultra-HD video and up to 5.1 multichannel Dolby Digital/DTS audio. The console also contains 1 digital optical input, 1 coaxial digital input and a set of RCA analog inputs. There is also 1 HDMI output for connecting to your TV. The CineMate 130 features the Bose ADAPTiQ Audio Calibration System which customizes the CineMate 130 sound output to the acoustics of your listening environment for optimal sound quality. The CineMate 130 SoundTouch feature allows you to stream music over a Wi-Fi network, and will give you access to radio stations from around the world. You also get access to your popular music streaming services including Pandora, Spotify and iHeartRadio. To enable SoundTouch, you will need a Wi-Fi adaptor which is sold separately. Important note: I was recently made aware of a “no sound output” issue with the HDMI-CEC feature between the Bose 130 and a Samsung smart TV (I wasn’t told the model) using the SoundTouch feature with an HDMI connection between the two systems. The individual with this problem was told by Bose customer support to use a digital optical cable instead of an HDMI cable to solve this problem. The included remote control is an IR universal type which controls the soundbar and can be programmed to control you other A/V components. 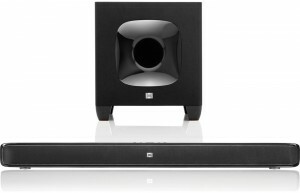 For a retail price of nearly $1,500.00, I expect a soundbar/subwoofer audio system to deliver very good sound quality. So did the Cinemate 130 live up to my expectations in this crucial area? The short answer is yes, but in this price class I expected even better performance than what this system delivered. Overall, the CineMate 130 produced sound that was clear, crisp and very detailed with a very good simulated multi-channel surround effect that rendered good sound envelopment from just a single soundbar. While viewing an action scene from The Boure Ultimatum movie, I was able to hear discrete sound effects placed on either side and to the rear of my listening position. If I had done a blind audition of this system without knowing its speaker lay-out, I could have been fooled into believing at certain times I was listening to a multi-channel surround sound system. This is very good performance for a soundbar home theater system. The bass module delivered solid deep bass with decent punch for a compact subwoofer. But as expected, it couldn’t produce the deeper low-end sound effects the movie had to offer due to its small size. For music, I listened to Chris Botti in Boston blu-ray edition. I’m very familiar with this excellent concert recording and how it sounds on my 7.1 surround sound system. So of course I couldn’t help but compare the sound reproduction of this recording played through the CineMate 130 vs. what I consider my reference home theater system. I know this is a completely unfair and unbalanced comparison, but it allowed me to hear just how much better a full-blown separate-component system performs, and reminded me why I personally prefer to hear my music this way. However, on its own, the CineMate 130 produced this music recording with an open and spacious sound. The vocal performance of Katharine Mc-Phee on the track – I’ve Got You Under My Skin, had a clear and detailed presence within the sound stage. The instrumental sounds from the main musicians on stage and the orchestra were rendered nicely and had a decent sound stage presence as well. As I stated early, I expected better performance from such an expensive soundbar system – and in reference to the CineMate 130 – its sound quality with The Boure Ultimatum movie soundtrack did at times sound overly crisp and a bit bright, which can make the audio sound a little unnatural and even somewhat edgy at high volumes. On the other hand, there are many individuals who actually prefer this type of exaggerated sound which can give the soundtrack more impact. These performance characteristics did not necessarily make this audio system sound unpleasant. It’s just that I have different sound quality preferences in the audio components I listen to. The Bose CineMate 130 is very good performing home theater soundbar system, and should satisfy most consumers looking for a quality all-in-one package. Its compact and handsome design characteristics will also win over many decor conscious consumers. Its major setback, however, is its price, which will be hard to come to terms with for many potential soundbar system buyers, especially when there are less expensive choices on the market with just as good or better performance. But for all you Bose fans out there, and for individuals who aren’t deterred by its high cost, I give the CineMate 130 a solid recommendation. of HDMI since I was told that HDMI-CDC isn’t working properly between these two systems. You should add this to your evaluation for other reviewers.. Thank you for informing me about this problem. I will update this review with this info. I believe the Consumer Electronics Device Connection (CEDC) feature has to be turned on in the settings of the TV. It is on by default in the Bose Cinemate 130. This technology is slowly replacing the need to sync smart remotes. The latest version of the 130 is called the Sound Touch 130. Bose bundled the Sound Touch adaptor which used to be an option. This is a great sounding and functioning system. I replaced my aging 5:1 Yamaha/Boston Acoustics system as I was tiring of the very direct sound from the very visible speakers. I appreciate the simplicity of the Bose setup and the virtual sound it reproduces. The sound is less discrete (direct) and more spacious than the 5:1 system with all its customizable settings (which I never used) . This is a much cleaner setup and easier to use. I found the review quite informative and consistent with my experience. Thank you for your informative and useful info, much appreciated. And thanks for checking out this review. Seems the discontinued 1SR performance is same as 130 and has one less control console to deal with. What did they change and add? Any better performance? As you already stated, the Bose CineMate 130 is the successor of the Bose CineMate 1 SR. Production on the Bose 1 SR ended on Dec. 2014. Technically, there is not much difference between the two models. Both share the same sound bar(with 5 speakers and 2 phase guide tubes), the same wireless Acoustimass bass module, functionally the same universal remote(difference in design) and the same ADAPTiQ Audio Calibration System. The main difference, however, is the addition of the control console added to the Bose 130. This console adds HDMI connectivity which the Bose 1 SR doesn’t have. The Bose 130 is supplied with one HDMI cable, instead of a digital optical cable. Since both models share the same sound bar and bass module, technically, there should be no difference in sound quality between the two systems. The sound bar speaker of the Cinemate 130 will not work with Cinemate 120. The speaker connections on these units are different and are not compatible with one another. Has there been an upgrade to the Cinematie 130 ? The Cinemate 130 has not been upgraded to my knowledge. 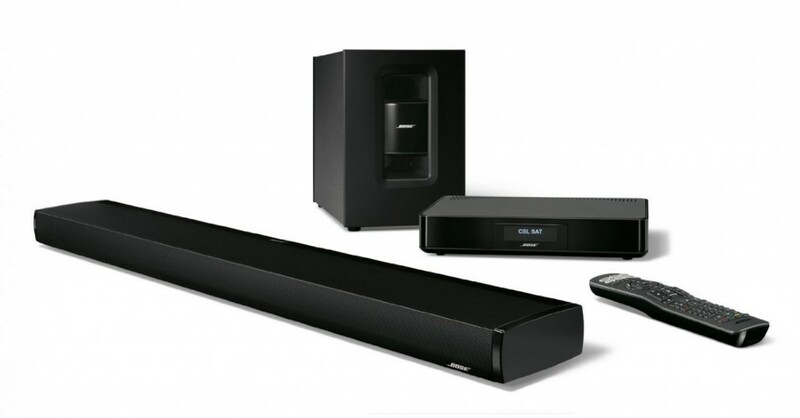 However, Bose has added a new soundbar system: The Lifestyle SoundTouch 135 Series III System. This model appears to have the same soundbar and bass module as the Cinemate 130. The 135 does add a few more components that are not included with the 130 such as an ADAPTiQ audio calibration headset, USB flash drive and a 6.5 ft. HDMI cable, to name a few. The 135 retails for $2,599.95, which is $1,100 more than the 130.